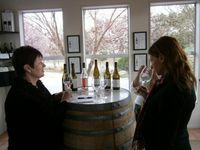 Whether you are a connisseur or just enjoy a tipple, we can plan a personalized tour to suit your needs. 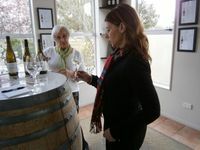 Full day wine tour includes a gourmet lunch platter and tasting fees. Full day - $200 per person. 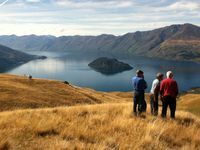 Ridgeline Adventures provide personal soft adventure 4WD journeys onto iconic high country farms in the Wanaka region. Other trips including Photography tours available. It's not every day that you strap yourself to a beautiful stranger, and leap from a perfectly good aircraft! Welcome to Skydive Lake Wanaka - New Zealand's most spectacular multi-award winning, high-altitude tandem skydive. 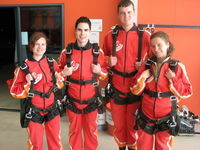 12,000 and 15,000 feet jumps available, including photo and video options. 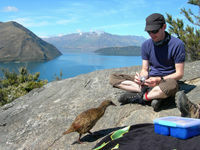 Lake Wanaka Cruise and Island Nature Walk - Cruise to Mou Whao Island; a unique glacial remnant of the last ice age. 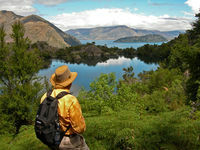 It has lively birdlife and native bush, sweeping 360 degree views of the lake, and its mountains and valleys. You can help reforestation by planting a tree on this Nature Reserve. 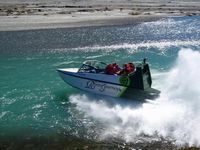 Wanaka River Journeys is an exhilarating wilderness jet boating adventure amongst the breathtaking scenery of World Heritage Mount Aspiring National Park. View spectacular hanging glaciers and Mount Aspiring - the mountain of significant cultural importance to Maori. Scenic flights through New Zealand's breathtaking landscape. Numerous options available. Experienced pilots provide a friendly and professional service. During your chosen flight enjoy a personalized commentary and uninterrupted views from your window seat. Unwind with luxurious and relaxing massage and spa experiences. A full range of services to pamper your body from top to toe. Enjoy a complimentary hot pool session while soaking up Lake Wanaka's spectacular views. 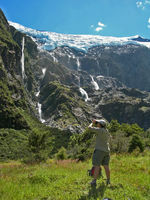 Rob Roy Glacier Guided Walk - An hour from Wanaka, within Mt. 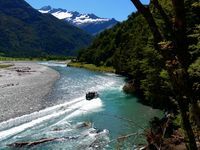 Aspiring National Park, is the beautiful Rob Roy Glacier. This is one of the best one-day walks available in New Zealand. 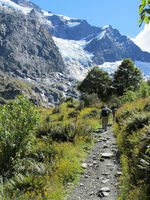 Trek through rainforest, enjoying native flora, spectacular waterfalls, and the glacier itself. $250 per person - Min. 2 people.